Five projects from a-n members, selected from a-n’s busy Events section and including exhibitions in Bristol, London, Oxford and Sevenoaks. The idea of instinctual creativity and the experience of making is at the heart of this exhibition, which features works by 10 female artists. Bringing together emerging and established artists, ‘Material Instincts’ coincides with and is programmed to mark the centenary of women’s suffrage in the UK. The show is curated by Nicole Mollett and Rosalind Barker, who exhibit alongside Hermione Allsopp, Bridgette Ashton, Helen Bermingham, Emily Glass, Moriam Grillo, Kate Linforth, Florence Mytum and Jeanine Woollard. 22 August – 15 September 2018, Kaleidoscope Gallery, Buckhurst Lane, Sevenoaks TN13 1LQ. 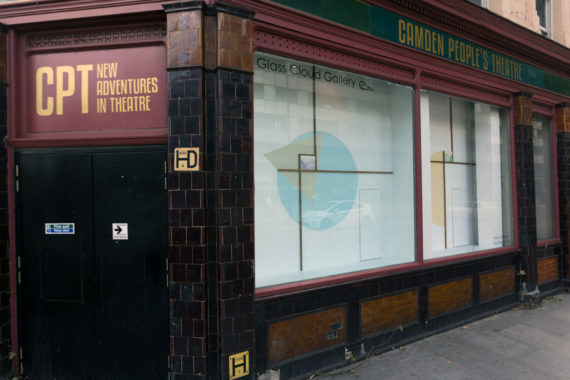 Glass Cloud Gallery has hosted a number of exhibitions in the Camden Peoples Theatre windows over the summer months. 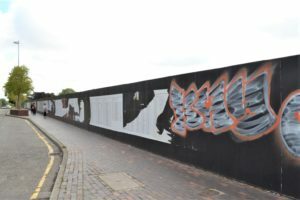 As the project comes to its culmination, the gallery has brought together a panel of speakers from organisations including Dateagle Art, Hospital Rooms, Recreational Grounds, Cypher Billboard and Elephant West to share their experiences and challenges of creating public-facing projects. The talk coincides with the exhibition ‘Cross Sections’, a site-responsive three-dimensional drawing by Fiona Grady that makes use of the double surface (windows and walls) of the Glass Cloud Gallery space. 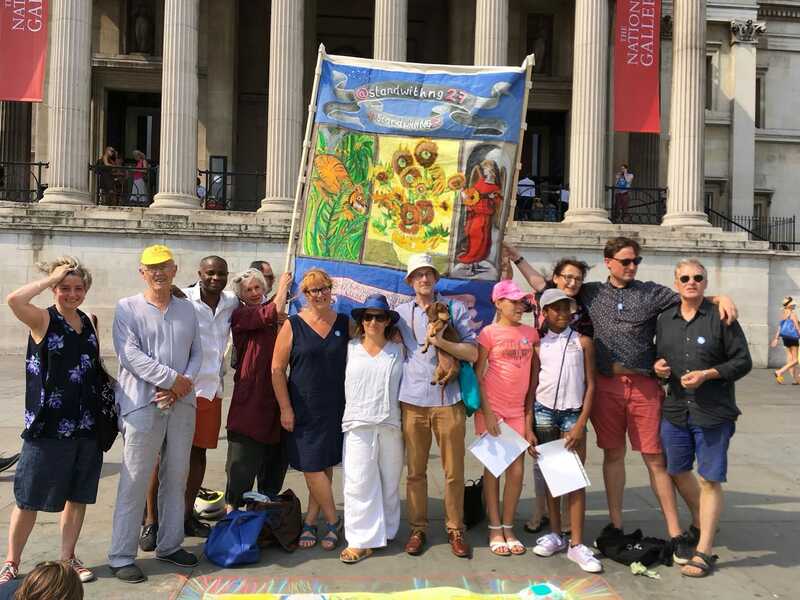 Friday 24 August 2018, 7-8pm, Camden Peoples Theatre, 58-60 Hampstead Road, London NW1 2PY. 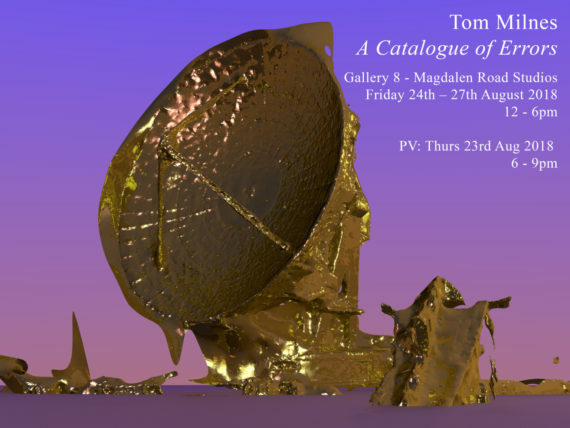 This exhibition features new works by Tom Milnes, founder and curator of Digital Artist Residency, that look at the errors inherent within digital technologies. Through digital prints, sculptures and installations, Milnes explores ideas around the materiality of data, surveillance and 3D technologies that are subject to cloud computing. 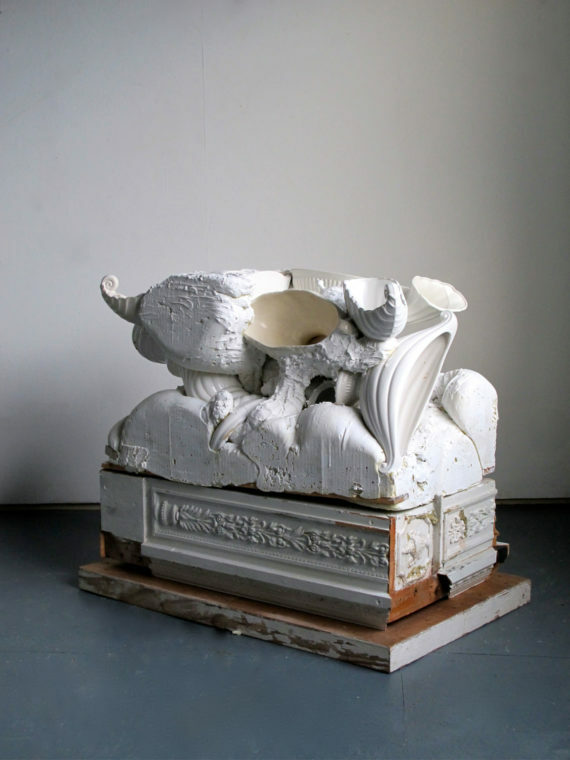 The featured works emanate environmental and historical concerns as they reference the physical manifestations of ‘the cloud’, from copper quarries to e-waste sites. 23-27 August 2018, Gallery 8, Magdalen Road Studios, Oxford, OX4 1RE. A group exhibition that celebrates the life and work of Frida Kahlo through a mixture of works that embody the strength, fearlessness and lust for life that came through in the artworks and biography of the Mexican artist. Curated by Renee Rilexie, the exhibition concept has the rallying cry of “I Can Be Frida. You Can Be Frida. 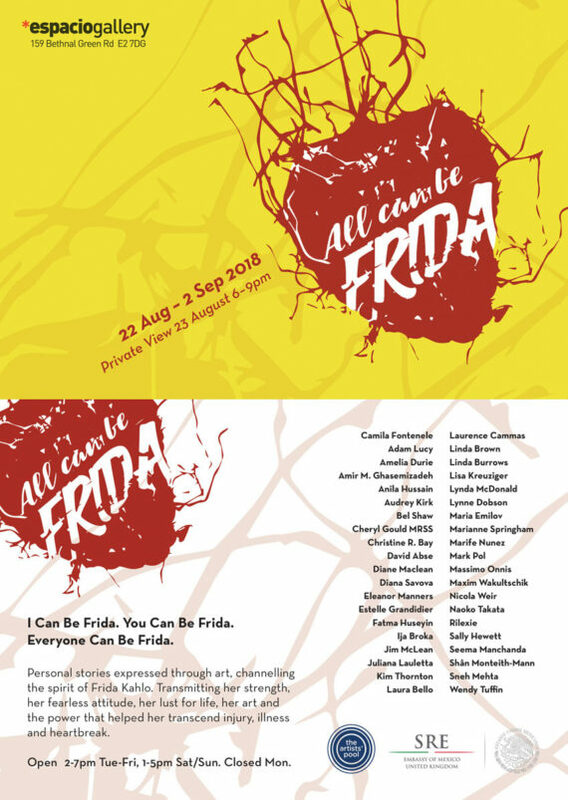 Everyone Can be Frida!,” which unites the works of the 40 participating artists. 22 August – 2 September 2018, Espacio Gallery, 159 Bethnal Green Road, London E2 7DG. 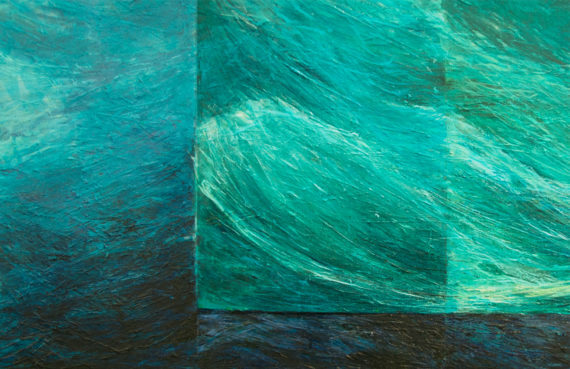 This solo exhibition of paintings by Pilar Cortes explores ideas around landscape, in particular depicting transitional locations that lack a sense of place due to their anonymous nature. 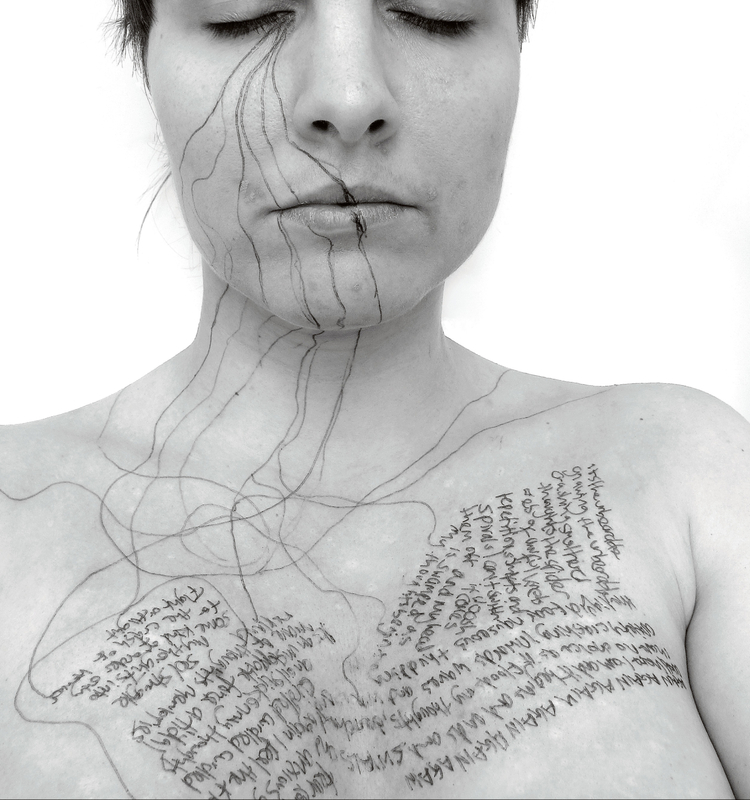 Using photographs as her starting point Cortes fragments the images on her canvas to create shifting perspectives and segments, turning realistic images into abstractions removed from a place. 23 August – 4 September 2018, Coexist, Hamilton House, 80 Stokes Croft, Bristol BS1 3QY.